Qi Gong is an ancient Chinese Medical practice that combines slow movements, conscious breathing, and focused mental attention to strengthen and enhance the flow of Qi (energy) throughout your body. Rather than addressing your symptoms (as Western medicine tends to do), Medical Qi Gong addresses your ailment at its very source by healing your entire being — mentally, emotionally and physically. Qi Gong are exercises coordinated with breathing that help improve the body function. If done properly, Qi Gong enhances the body’s energy and stamina through proper breathing. It is a way of cultivating energy to heal and recharge the body. Each form is unique to strengthen one or two organs that also helps lubricate joints. Because of the slow and harmonious movements, Qi Gong strengthens self awareness of one’s body that can calm the mind to relieve stress and build self confidence. Qi Gong movements are very simple and are great for every day work out. The fundamental principles of Qi Gong are according to how energy travels along these channels and its connection to the organs. By manipulating these energies, one can regulate body and organ function. 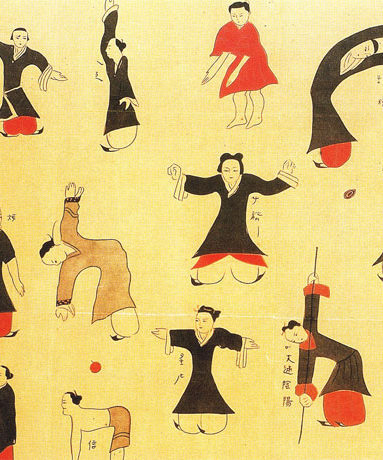 Qi Gong, TCM, and acupuncture goes hand in hand that uses the same core theories. I can teach you how to heal the body through Qi Gong. I have been practicing Qi Gong for several decades.